Every day I talk to runners who tell me their doctor said they have to stop running. Just stop and think about that for a minute. 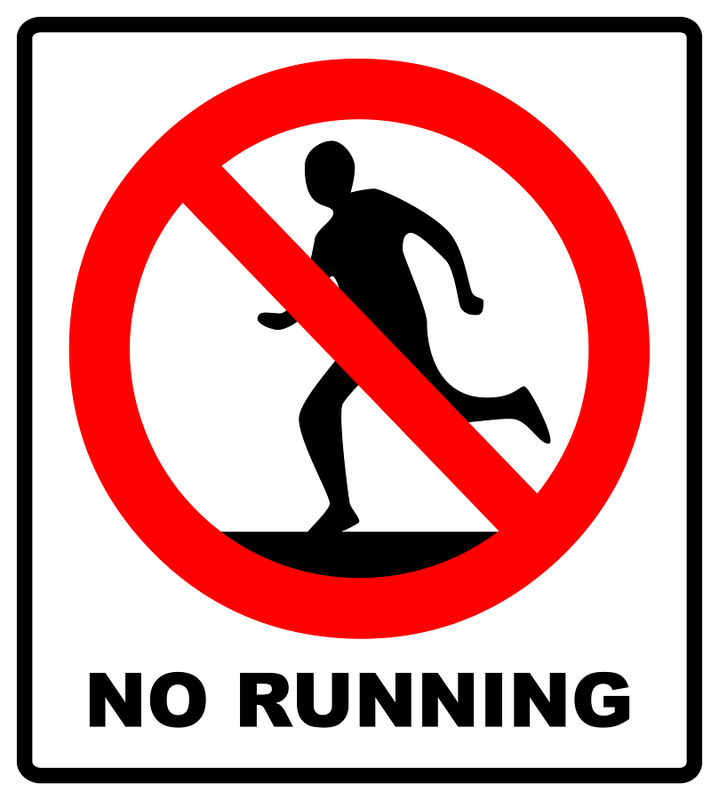 A runner is told to stop running. A runner has pain in her foot. Maybe it’s a metatarsal stress fracture. Maybe it’s a plantar plate sprain. Maybe it’s plantar fasciitis. But the runner wants to run and not have foot pain. So the runner makes an appointment with a supposed expert (a doctor), sits in a waiting room, then sits in a second waiting room waiting for the doctor to actually come in to do something. Finally, the door swings open and you tell the doctor that you have this pain in your foot when you’re running. And then the doctor tells you to stop running. So what just happened? Did the doctor not understand that you’re a runner? Did the doctor not understand you actually want to keep running? Does the doctor think running is not important to you? Or does the doctor really think you showed up to have somebody in a white coat tell you you should trade your running shoes for a bike helmet or a pair of swim goggles. That doesn’t really sound like much of a solution to you, does it? I really and truly believe it is the doctor’s job to help you figure out how to run without pain. It is never, NEVER the doctor’s job to tell you what to do. It’s the doctor’s job to help you understand why it is that one anatomic structure continues to ache, or continues to get damaged, or refuses to heal because of the way you run. It’s the doctor’s job to help you work around that injury and continue to run. If you’re a runner, it’s the doctor’s job to help you run. Every time I lecture at medical conferences on running injuries this is the main point I make to physicians. My core message to doctors when I lecture is, look, you are all being lazy. Runners want to run and it is your job to stop what you’re doing and think about a real solution. If a doctor tells you to stop running, the doctor is doing harm. If the doctor puts you on crutches for one week the research shows you will have a 17% reduction in the muscle fiber diameter of the injured leg. I think most runners would consider a 17% reduction in muscle size as harmful. If you’re in a cast and crutches for four weeks you will have a 60% reduction in muscle size. Does permanent muscle atrophy sound like harm to you? I think it does. If you stop exercising you’re going to lose all of your fitness and all of the neuromuscular connections that help you stay coordinated. Everything in your foot and ankle will become weaker and stiffer. And because of all that atrophy you’re actually way more likely to have another, different injury when you actually start running again. Does that not sound like harm? Well think it is. And that’s what I teach to physicians. I try to help them understand there is always a way to reduce the stress to any particular anatomic structure without just putting you on crutches, just putting you in a fracture walking boot, or just telling you to stop running. Maybe you need to stop running. But maybe you don’t need to stop running. What I do know for sure is “Not running” is the easiest way for a doctor to get you to reduce the stress to the injured part. But that is a copout. Here are three things you knew really need to think about when you go to see your doctor and you have a running injury. 1. Most of the time you can run and heal. To heal any injured structure, whether it’s a metatarsal stress fracture, plantar fasciitis, Achilles tendinitis, a neuroma, or whatever, you only have to do two things. The first thing you have to do is create an environment that is conducive to healing that tissue. That may mean stabilizing, supporting or reinforcing that structure in some way. That may mean changing some of the raw ingredients you’re putting into your body that will help you heal faster. The second thing you have to do is just decrease the amount of stress applied to that particular anatomic structure enough so it’ll get you below your threshold for healing. 2. That doctor standing in front of you, wearing that white coat does actually have the knowledge, training and expertise to help you figure out how you can reduce the stress on that one injured structured and continue to run. When I lecture at medical conferences I know that I am speaking to a lot of doctors who are a lot smarter than me. I know that I’m speaking to a lot of doctors who are more experienced than me. But I also know those doctors are not really helping runners run. The reason I know that is because I see runners who have called me for a second opinion after they’ve seen one of these other well respected doctors. All doctors have similar training. Medical training is standardized. We’re all board-certified. We’ve all done thousands of surgeries. We all understand the basics of healing different tissues including tendons, bones, ligaments and muscles. We all have DEA licenses and can prescribe medications. We all understand biomechanics. The problem isn’t that your doctor doesn’t have the knowledge. The problem isn’t that your doctor doesn’t have the skill. The problem isn’t that your doctor doesn’t know how to make that structure heal even if you plan to keep running. The real problem is that your doctor is just focused on your complaint of “foot pain.” And your doctor isn’t slowing down enough to hear how important it is that you continue running. 3. It is your job as a patient to force the doctor to slow down enough to really think about your particular unique circumstances and help you figure out how to run. If you don’t like confrontation, if you feel like you’re not entitled to ask a busy doctor to slow down enough to really and truly help you figure out how to run, you’re probably going to have a tough time in the conventional treatment setting. Most doctors are extremely busy. They’re rushed. Trust me, I know I used to see patients that way. I had the usual super busy kind of medical practice. I had six treatment rooms and a team of people shuffling patients in out of rooms. Most of them had normal problems that only took a few minutes to sort out. Most of those patients also were not actually athletes. If you have a practice filled with patients who are not athletes and just want the pain to go away, but they don’t have any real particular need to continue to remain athletic, it’s a lot easier to give them a solution. It’s a lot easier to tell lazy person to sit on the couch. And the truth is when you see those patients its easier get them out the door in 5 to 7 minutes. I spend more than 5 to 7 minutes just talking about what the runner’s next goal is. When I work with a runner, whether in person during a house call or during a virtual doctor visit via web cam, I usually spend over an hour helping them figure out exactly what they need to do to get better and keep running. During a typical week I see fewer runners than I used to see before lunch on Monday. That’s because I spend a great deal of time making sure you understand exactly what it’s going to take for you to continue to run and heal all at the same time. Don’t you think every doctor should do that for you? The number one excuse I hear from doctors when I’m speaking at medical conferences is that they don’t have time to do that, because they accept your insurance. Because they accept your insurance, they feel that they can really only afford to spend about five minutes with you. But the truth is that’s not your fault. That’s the doctor’s fault. The doctor made a bad decision by deciding she could only give you five minutes of her time in exchange for the $38 dollars your insurance is going to pay her. I talk to doctors over and over about this problem. All these doctors whine and complain, moan and groan about their low paying insurance contracts. And although they really don’t mean to, they actually do take it out on their patients. In the doctor’s mind she has basically decided how much time you will get based on how much the insurance company is going to pay her. Sometimes, without even really thinking about it, she has done all of this complicated math to come up with a formula that is basically time for money. Somewhere deep in the background that math is driving her flow through the office and the time in the treatment room with you. She thinks that’s the contract the two of you have. But I think a contract between a patient and the doctor is different. I think the contract is really simple. And I don’t think it has anything to do with your insurance card. If you make an appointment with a doctor, and the doctor schedules your appointment, the doctor has an obligation to provide a real solution for your problem. At the top of the intake form, where it says, “Chief Complaint,” write down “I want to run without pain!” Make sure you add the exclamation point. Don’t let the doctor stay focused on injury. Do whatever it takes to get the doctor focused on running. Remember your main goal when you go to see the doctor is to convince the doctor that you want to run, and you are going to run. And then your secondary goal is to force the doctor to help you figure out how to reduce the amount of stress to that particular injured anatomic structure enough so it will heal. Ideally of course, the doctor will show you how to reduce that stress enough so it will heal while you continue to run. You can heal and continue running. All doctors have the knowledge and experience to help you run, and heal. It’s your job to keep the doctor on task! «« There is No Key to Healing. It’s a Combination.